After the import completes, the Setup Wizard should open automatically. 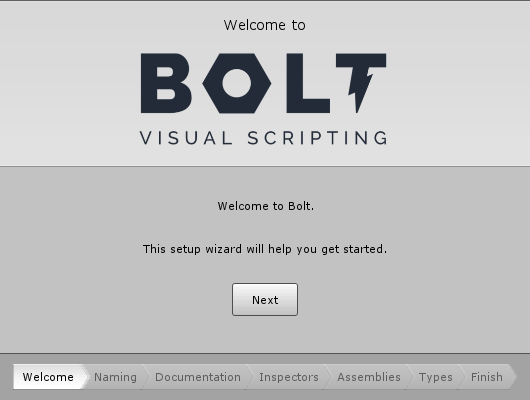 If it doesn’t, you can always open manually from Tools > Bolt > Setup Wizard…. 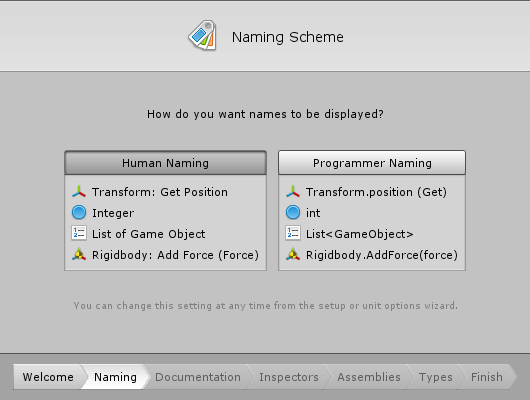 If you’re not an experienced programmer, we strongly suggest choosing Human Naming. 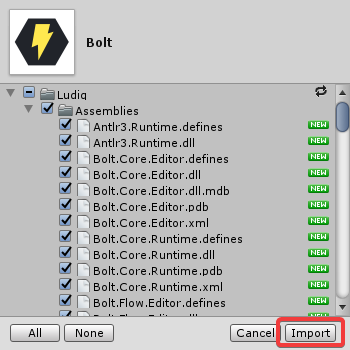 If you want to use Bolt as a way to learn C#, we recommend choosing Programmer Naming. 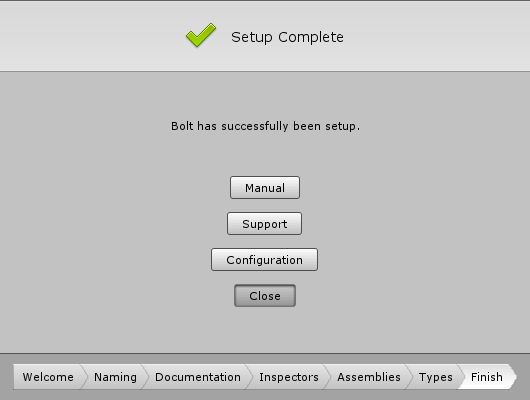 In the Documentation and Inspectors steps, you can simply click Generate and let Bolt do the work. There are currently known issues with these pages that cause the setup wizard to crash for some users. Fixing those is our current priority. 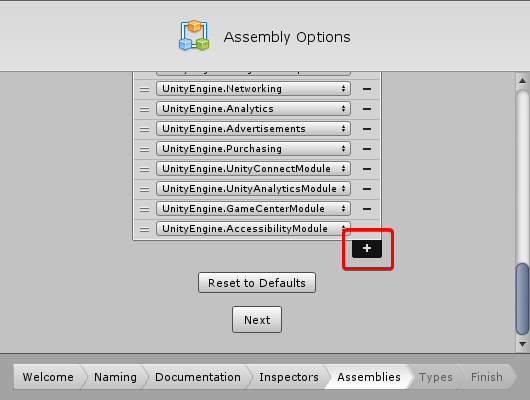 In the mean time, if you encounter problems, click Next instead of Generate to skip these steps and go straight to the Assemblies page. 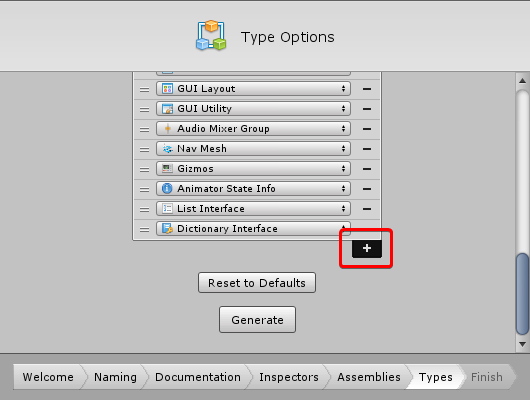 Then, on the Types step, you will need to add any custom type (class or struct) that you want to use in Bolt. Note that if the type you need is inherited from Unity’s object class (for example Mono Behaviours, Scriptable Objects, etc. ), it will be included automatically for you. Note that you can always come back to add more assemblies and types later by opening Tools > Bolt > Unit Options Wizard….